Jamie Yacoub is a clinical outpatient Registered Dietitian, expert in nutrition and author of her cookbook "Modern Guide to Food and Eating: Low Glycemic Recipes". She obtained a Bachelor of Science in clinical nutrition from UC Davis and an MPH in nutrition from Loma Linda University. Yacoub then completed her dietetic internship as an intern for a Certified Specialist in sports nutrition and at a top-100 hospital. When you have only one kidney -- which may be due to a birth defect, organ donation or surgical removal to treat injury or disease -- you will need to consume a healthy diet. This is a diet moderate in protein and low in sodium. It should include fruits, vegetables, whole grains, adequate fluid and low-fat foods. You will not need to follow a special diet unless you have kidney disease or reduced kidney function. Control your sodium intake because excess sodium in your body attracts water into tissues and your bloodstream, increasing blood pressure. Your kidney must filter the excess sodium into your urine. 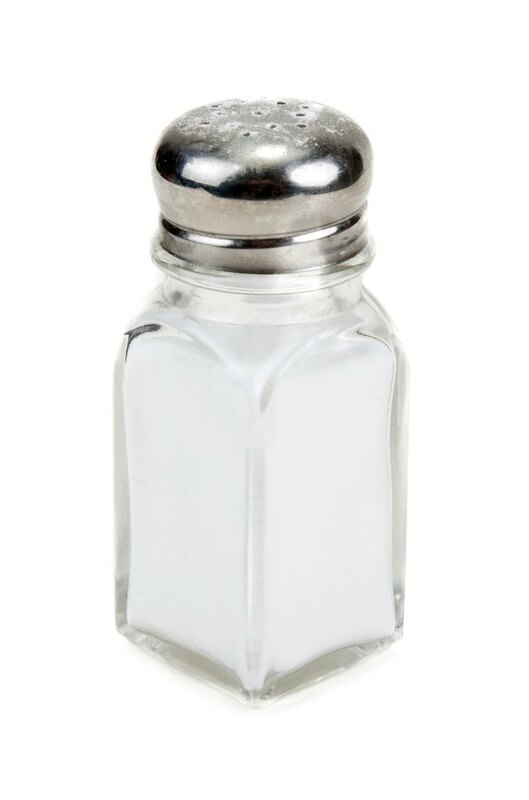 Too much sodium in your diet overworks your kidney. The adequate intake for sodium is 1,500 milligrams per day, and the Institute of Medicine advises you consume less than 2,300 milligrams per day. If you have kidney disease, your daily sodium requirement may be lower, so speak to your doctor or dietitian about your individual needs. Instead of reaching for the salt shaker, use herbs and spices to season your food. Eat more fresh foods and fewer packaged or processed foods, which tend to be high in sodium. If you choose to eat a packaged or processed food, read the nutrition facts label. The National Institutes of Health states that a food with a sodium daily value of 20 percent or more is too high and that you should look for phrases such as "low sodium," "very low sodium," "salt free" and "sodium free" on the package. Eating a diet too high in protein can overwork your kidney. If you have just one kidney, you are more susceptible to a condition called proteinuria, reports DaVita Kidney Care. Proteinuria is too much protein in your urine as a result of it leaking from your blood. Proteinuria can cause water and sodium retention, leading to complications. The dietary reference intake for protein is 10 percent to 35 percent of your daily calories. You should speak to your doctor or dietitian about your individual needs, however. Protein should come from lean sources such as beans, skinless poultry, egg whites and low-fat dairy or from protein foods containing unsaturated fats such as fish and nuts. The rest of your calories will come from healthy carbohydrates and fat. Carbohydrates should make up 45 percent to 65 percent of your daily calories. Healthy carbohydrate choices include vegetables, fruits and whole grains. Fat should make up between 20 percent and 35 percent of your daily calories. Healthy fat choices include fish, nuts and seeds, avocado and vegetable oils such as olive and canola oil. There is no extra fluid requirement for people with one kidney, but you need to stay hydrated. Kidney Research UK states that most people need 6 to 8 cups of water daily. Speak with your doctor or dietitian if you are unsure how much fluid you need. DaVita: What's It Like to Live With One Kidney?